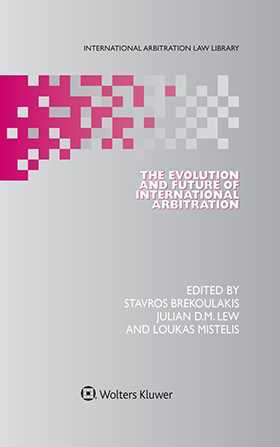 The Evolution and Future of International Arbitration presents a detailed overview of the current status of arbitration law, practice, jurisprudence, and scholarship. 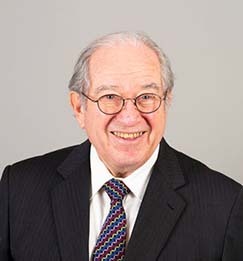 The School of International Arbitration of the Centre for Commercial Law Studies at Queen Mary University of London celebrated its thirtieth anniversary in April 2015 with a major conference featuring presentations by thirty-five international arbitration practitioners and scholars from many countries representing a variety of legal systems. This volume has emerged from that conference. What is striking is not only the range and diversity of the topics examined but also the emergence of new subjects for examination, demonstrating that arbitration law and practice do not stand still but are constantly evolving. teaching and research in international arbitration. This book expertly covers doctrines of arbitration, arbitration law and jurisprudence, and research and teaching in the field and analyses the law of arbitration in a wide range of jurisdictions and legal traditions. This book helps in gaining expert insight into prospects for the next thirty years of international arbitration. The critical analysis of current reality in international arbitration by experienced and well-known commentators benefits academics by providing insights into the teaching and research of international arbitration. This well-organized edited volume, like earlier conference volumes from the School of International Arbitration, is sure to be welcomed and acclaimed, and will prove of lasting value.